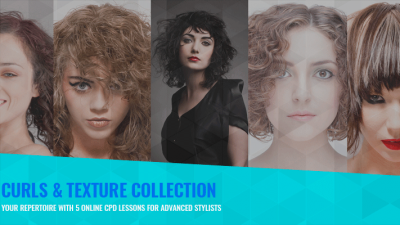 From uniform to graduated and increased layers, fine-tune your technique to perfect a range of looks guaranteed to impress your clients. Read on for a breakdown of what to expect in each of the 5 tutorials of the Long & Layered Collection. Aveda’s Bastian Casaretto has hairdressing in his blood, so he’s the perfect instructor to teach you the long layer variation in lesson 1. With skills encompassing finger angles, over-direction, elevation and flat layering, Bastian also demonstrates freehand techniques to create a loose outline throughout the perimeter in the back. Beautiful, soft and feminine, your long-haired clients won’t be able to get enough of the texture, body and movement you’ll give them once you’ve perfected this cut. 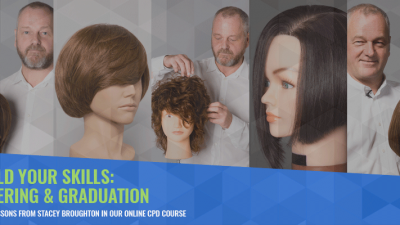 Ex-Vidal Sassoon educator and all round expert Graham Oglesby steps up to demonstrate the long graduation with low fringe in your second tutorial. Starting with a controlled square outline below the shoulders, learn how to incorporate graduated layering and build on the cut with graduation throughout the shape. Manageable yet flowing, the long graduation with low fringe makes for a fresh, youthful look that your clients will love. 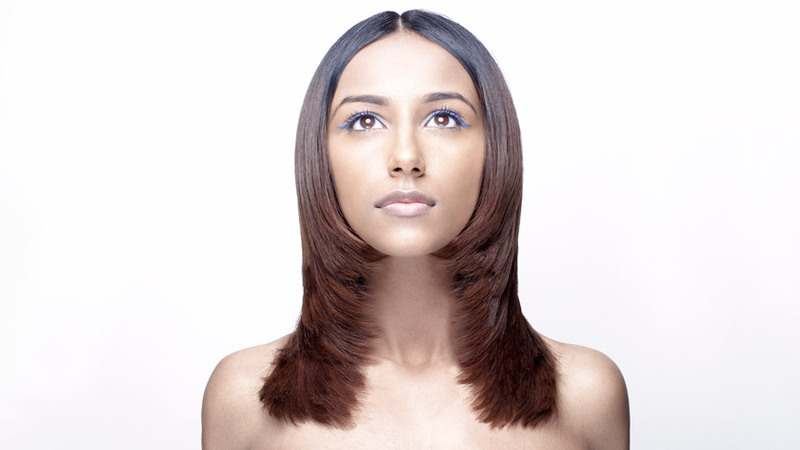 The long-layered shape is a salon classic. And in lesson 3, master of precision cutting Stacey Broughton demonstrates two possible outcomes – a commercial finish and a creative option. The commercial finish is enduringly popular, but the strong, angled jawline of the creative option makes it perfect for those clients seeking a bolder look. Either way, you’ll use internal graduated layering, graduation and over-direction to deliver body and movement to delight your clients. Stacey Broughton is on hand again for lesson 4, which is all about the long, uniformed layer. From pivoting sections to body positioning and perfect head and finger placement, you’ll perfect your technique to create that symmetrical, face-framing look. Remember, learning is incredibly effective with our unique SEE-DO-STOP-CHECK methodology. Our engaging multi-sensory learning technique motivates and empowers you to learn quickly and effectively. 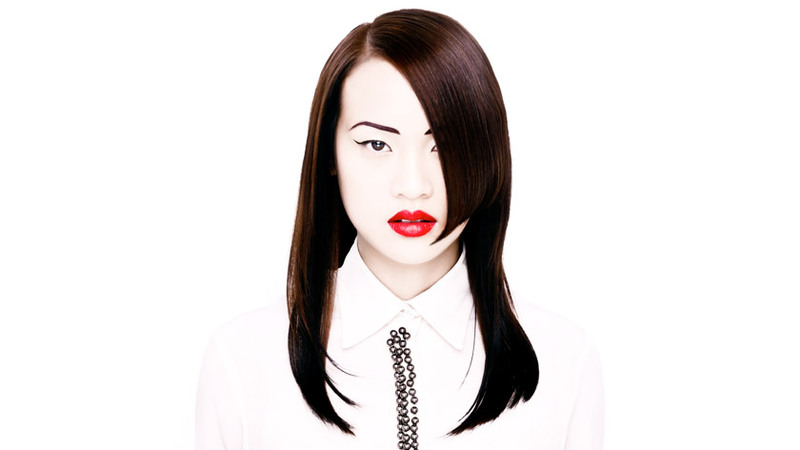 The final lesson in our Long & Layered Collection is taught by none other than hairdressing icon Tracey Hughes. Focusing on increased layering, she’ll demonstrate this crowd-pleasing style that includes classic layering techniques and over-direction. Remember, body and finger positioning and perfect sectioning are crucial to deliver this loose, commercial layered look. Finding the best training courses at the right budget is an ongoing challenge for stylists, salons and colleges. With MHDPro, you have the power to raise standards, boost skills and increase safety, all while reducing costs. The unique methodology of our video tutorials guarantees that techniques are learned, repeated and embedded – and then taken to the next stage. 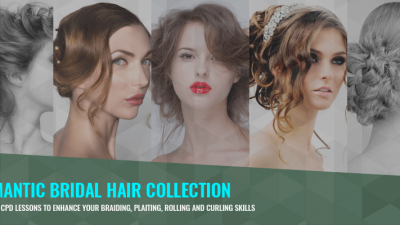 In other words, after taking the Long & Layered Collection, you’ll have a robust understanding of the principles and be equipped to transfer skills to the salon. Just remember to download and display your VTCT and ITEC-endorsed certificate of recognition on completion.